MT. 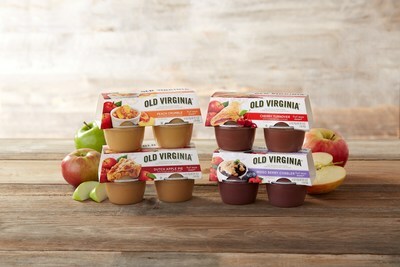 JACKSON, Va., Nov. 30, 2017 /PRNewswire/ — Old Virginia®, manufacturer of high-quality, great tasting apple products, announces today that the Virginia Department of Agriculture and Consumer Services (VDACS) has awarded the badge of Virginia’s Finest® to their line of Fruit Sauce Dessert Cups. Only Virginia-made products that meet or exceed quality standards are eligible for the Virginia’s Finest® program. With this designation, every product in the Old Virginia lineup – including applesauces and apple butter made from traditional Southern recipes using apples primarily from Virginia’s Shenandoah Valley – is now certified Virginia’s Finest®.